Moving during summers in India can be challenging both mentally and physically. Hot summers can weigh a person down and therefore one needs to take extreme care while moving in summers. Another factor which makes move during summers a challenge is peak demand. Moving, by any means, isn’t a walk in the park. It requires proper planning and organizing things. So here are few tips that will surely help you out during your move in summers with Best Movers and Packers in Pune. ASAP is the perfect term that should be followed during a summer move. Start preparing for your move at least 15 days before. The greatest benefit of preparing early move during summer is that you’ll be 100% ready by the time the moving date arrives. 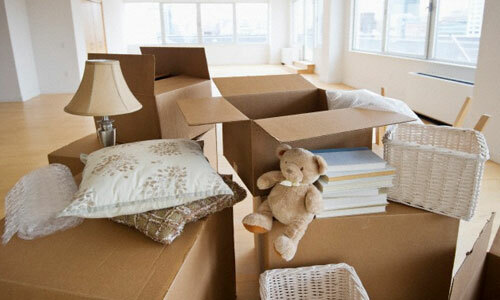 Apart from that it will keep your stress level down and will help you to save a lot on your move. Early preparations include creating a checklist, finding a reliable Pune Packers and Movers and packing things early. Because of higher demand for moving companies during summers, it is important that you choose the right company and move on an appropriate day so that you can save a substantial amount on moving. At the same time, you have to get a reputable company so that you get a top quality service so that your goods are transported without any damage. One way to do that is by hiring Best Movers and Packers in Pune early. Also, avoid moving during weekends or during holidays. Take suggestions from your kids and don’t let moving affect their routine life. While moving during summers your household stuff might face extreme heat and humid condition. So, it’s important to carefully pack items in a manner so that your items remain safe. Also, it's important to keep few items with your rather than transporting them in trucks. Electronic items like Stereos. Laptops, mobile should be carried by you in your car where you can maintain the temperature. It’s better to pack electronic items in their original package for better air circulation.CD and DVD’s don’t do well with heat. So keep them in a plastic packet and put them in your car. Also, don’t pack perishable foods and dispose of inflammable items. What makes moving so tough during summers is bright sunshine and hot-humid conditions. So, it’s important to stay safe and take appropriate measures. Start early in the morning- As mornings are real pleasant during summers so it's better to start at that time. Take a break from 12 to 4pm as the intensity of heat is very high at this time. Stay hydrated- It’s important to stay properly hydrated by replenishing the water loss. Prepare a bottle of glucose water bottle for everyone. Drink enough water to avoid any symptom of dehydration. Wear comfortable clothes- Wear clothes which are light in color and are breathable. Wear sunglasses and a hat. This will help your body to remain cool and work with full dedication. Save skin with sunscreen- Apply sunscreen to avoid sunburn. Apply it 10 minutes before facing the scorching sun and apply it, again and again, every hour so save your skin. Now that you know how to make your move safe during summers it’s time that you hire top Pune Packers and Movers and enjoy your relocation.